You'll be £15.99 closer to your next £10.00 credit when you purchase Letters from Mafeking. What's this? Order within the next 6 hours, 59 minutes to get your order processed the next working day! 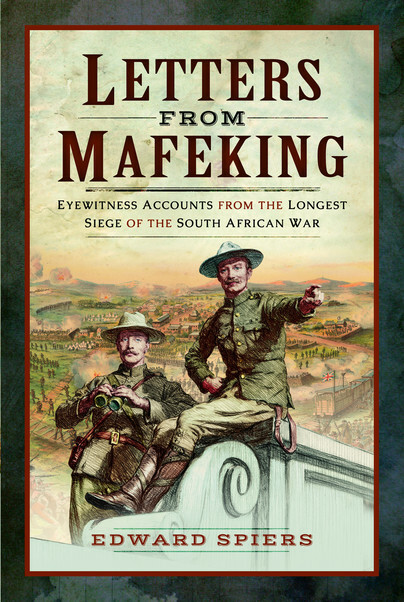 Mafeking was the longest and the most controversial of the three sieges that began the South African War in 1899. Lasting 217 days, the Siege of Mafeking brought a highly charismatic leader to public attention and involved some controversial practices. While of little military significance, the relief of Mafeking produced unprecedented celebrations across Britain and much of its empire. Sustained over several days, such rejoicings led to the creation the verb to maffick, meaning to celebrate both extravagantly and publicly. Such rejoicing reflected not only the build up of emotions during the South African War, but also how Mafeking revived memories of imperial siege histories over the previous fifty years. In this illuminating account of the siege and its aftermath, Edward M. Spiers, a leading authority on Victorian military history, provides fresh insights on the conduct of the siege and its relief. He draws new material from some 120 letters, diary extracts, interviews, and speeches by soldiers and civilians – all uncensored, unlike the press reporting from Mafeking. He rebalances arguments about the command of Baden-Powell, reviews civil-military relations within Mafeking, examines the impact, both physical and psychological, of the most intensive shelling of the war, and accounts for the successful defence and relief of a small, isolated frontier town, bereft of natural defences and effective artillery.